Guide details the final regulations brought about by HITECH changes to the HIPAA security rule and to the privacy rule as it applies to security. This essential guide will help you learn practical and pragmatic ways to interpret the new regulations and ensure compliance. Helps enhance your understanding of HIPAA-HITECH security rule requirements. 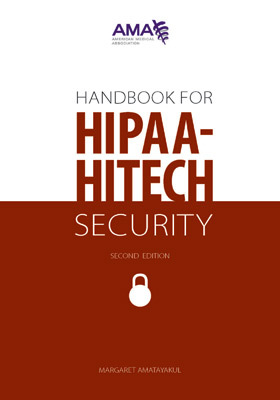 Handbook for HIPAA-HITECH Security, second edition details the final regulations brought about by HITECH changes to the HIPAA security rule and to the privacy rule as it applies to security. This essential guide will help you learn practical and pragmatic ways to interpret the new regulations and ensure compliance.